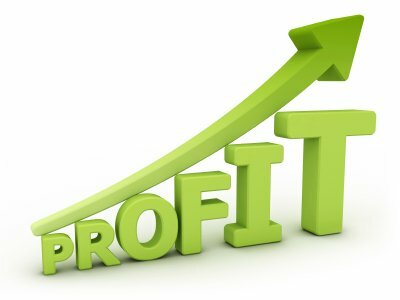 Simple Steps to Boost Your Profits! Is your business growing every year? Not just in sales revenue, but more importantly is your business ahead right now than you were this time last year in net profits? Whether your goal is to increase your total net profits by $10,000 or by $10 million, you need to isolate individual values that collectively contribute to that end goal. Remember that performance measured is performance gained. My own business has grown both revenues and net profits every year for 7 years in a row. There are the seven key places I measure in my business that gives me laser direction for what I need to do to continue to help more entrepreneurs while at the same time, boost profits. How you spend your time makes a significant impact on how much you can boost your profits. Instead of asking at the end of each year, “where did all the profits go?” start a habit of asking at the end of each day, “where did all my time go?” We all know the old adage time is money. Time is the first place I ask clients to measure and evaluate. I often help my clients design what their PDR forms should look like (personal daily report) based on their specific duties and function. On the PDR form, or even on just a notepad, jot what you accomplished and how long it took you to complete each task. Once you accumulate a 2- to 3-week snapshot you can then begin to identify not only your efficiency and productivity, but also your effectiveness. Your effectiveness is what = the VALUE of your time. So, what is your time worth? While efficiency is important, you can be efficient at all the wrong things. You won’t really be aware if you are not measuring and getting an audit of your time. Remember that performance measured is performance gained. #2. Measure your marketing results. Another way to boost profits is to look for ways to stop bleeding profits. If you are not measuring your marketing results you may not realize how much you’re wasting in profits from marketing that is not getting great results. First, do you log in every prospective call? what product or service they were interested in? what grabbed their attention and interest in calling you as opposed to calling your competitors? if they found you online, what keyword phrase did they search? While this may sound like basic business practice it is one of the most common areas I see being skipped even be many established businesses. You can’t determine what would be a more effective approach to your marketing if you aren’t measuring how your current and past approaches have worked. Marketing mistakes bleed resources, and the biggest mistake is when it’s done arbitrarily. Remember that performance measured is performance gained. #3. Measure your conversion efficiency. If we want to boost profits, naturally, we need to boost sales. While sometimes sales might happen from a one step process, the average sale goes through a 7 step process. You want to the end result — to boost profits. You will boost more profits if you boost conversion in the 7 steps in your sales cycle. Are you measuring how well each step in your process in converting? For the catering industry they need to convert inquiry calls to an appointment to sample their food. The health club industry needs to convert the first call into a compelling reason to come visit now. Service industries whose calls are mainly from price collectors can still create a compelling incentive to get the prospective customer to sample their company whether it is in the form of a valuable newsletter or educational video. The sample stage is an important phase in your sales cycle. You don’t want to simply react to the year end profit number without examining how each phase in your sales process is actually performing. Remember that performance measured is performance gained. QUESTION: What is the one biggest block that keeps you from measuring in your business? Please share your comments and questions below.